Aaron Ekblad scored 26 seconds into overtime as the Florida Panthers beat the Colorado Avalanche 4-3 in Denver on Monday night. Mike Hoffman had a goal and two assists, Troy Brouwer and Evgenii Dadonov also scored, and Roberto Luongo made 36 saves for the Panthers. Luongo picked up his 485th career win to move into sole possession of third place in NHL history. 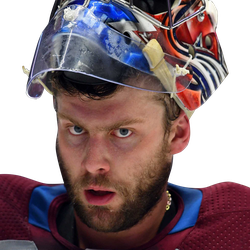 Derick Brassard scored against his former team hours after being traded to Colorado, Tyson Jost and Mikko Rantanen also had goals, and Semyon Varlamov stopped 34 shots for the Avalanche, who saw their four-game winning streak stopped. Ekblad got the game-winner when Hoffman twirled and fed him coming down the right side, and Ekblad trickled the puck past Varlamov for the win. Florida entered Monday 10 points out of the second wild card in the Eastern Conference and fading in the playoff race. The Panthers and Avalanche completed a deal ahead of the NHL trade deadline that sent Brassard and a conditional sixth-round pick to Colorado for a third-round pick. Brassard, who was traded to the Panthers from Pittsburgh on Feb. 1, made an immediate impact. With the game tied at 2-2 he skated into the Florida zone, took a pass from Ryan Graves and beat Luongo at 7:49 of the third period for the 3-2 lead. It was his 11th goal of the season. Hoffman tied it at 11:57 when his shot from the left circle went off Varlamov and in. It was Hoffman's 27th of the season. Colorado opened the scoring early in the second and then the goals came in bunches late in the period. Jost got the first one at 2:12 and Rantanen made it 2-0 at 14:31 when his snap shot beat Luongo. It was his 26th of the season. The Panthers got back into it with two goals in the final 94 seconds of the period. Brouwer got the puck in the slot and shot the puck under a sliding Alexander Kerfoot to make it 2-1 at 18:26. Colorado defenseman Nikita Zadorov went off for on interference minor seven seconds later, and Dadonov tied it with his 22nd goal at 19:35.